Dhaka, 1 Feb, Abnews: Bangladesh has advanced in a global index that measures rule of law performance in 113 selected countries around the world. The Global Rule of Law Index 2017 of the World Justice Project (WJP), released in Washington on Wednesday, showed that Bangladesh moved forward one notch for overall rule of law performance to 102 in 2017 from 103 in 2016. 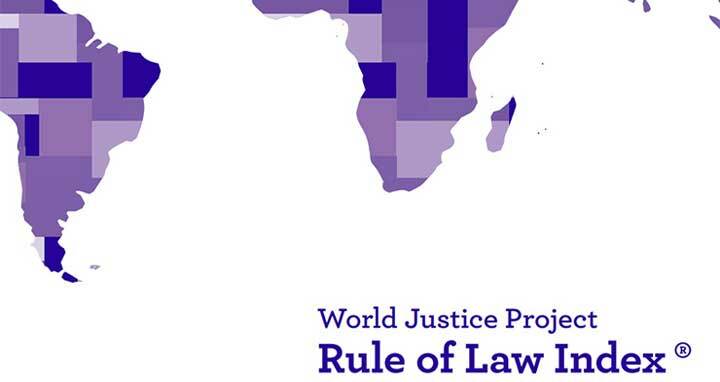 According to WJP, Bangladesh made the progress with strict adherence to the rule of law when a majority of countries worldwide saw their scores decline compared to 2016. The Washington-based WJP is an independent, multidisciplinary organisation working to advance the rule of law worldwide. Its Index is the world's leading source for original data on the rule of law. The organisation prepares the Index after measuring rule of law adherence in 113 countries worldwide based on the surveys on more than 110,000 households and 3,000 experts. During the survey, it gave each assessed country scores in eight factors, including constraints on government powers, absence of corruption, open government, fundamental rights, order and security, regulatory enforcement, civil justice and criminal justice. The flagship Index for 2017 placed Bangladesh at the fourth position among six South Asian countries, putting Pakistan and Afghanistan behind. Nepal topped the ranking among South Asian states followed by Sri Lanka and India.